TENS is a great natural way to relief pain, and help moms feel more in control. Birth Beginnings has BabyCare Elle TENS units available for rental. Details on the TENS units can be found here. 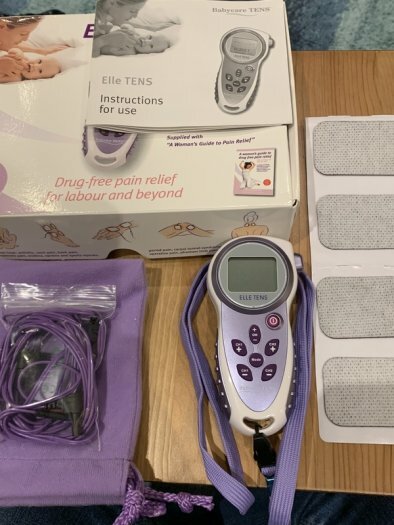 The Elle TENS unit, a pack of 4 individual use electrodes, lanyard, 3 sets of leads, 2 sets of batteries, instruction manual, and carrying case. *The $60 security deposit will be refunded once the unit is returned in good working order. Book your TENS rental here. Consult with your care provider before renting a TENS unit. Please read our rental agreement.